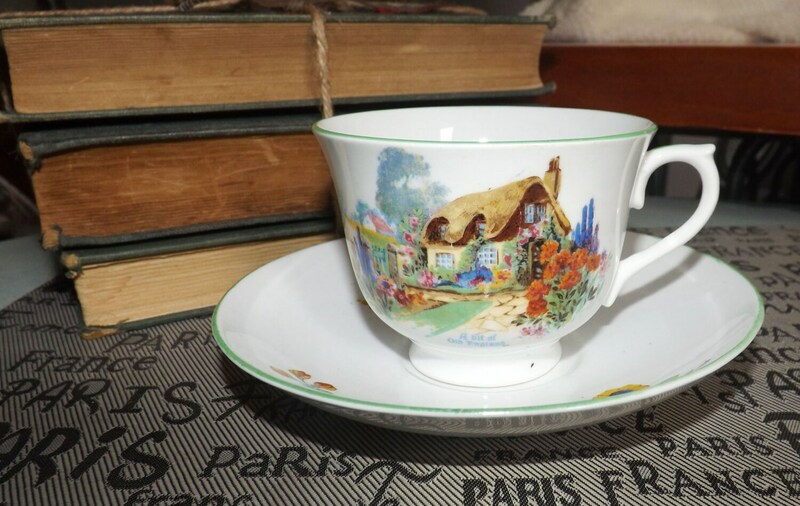 Early mid-century (1940s) Radfords | Samuel Radford A Bit of Old England Somerset Cottage tea set (cup and saucer). Country cottage scene. 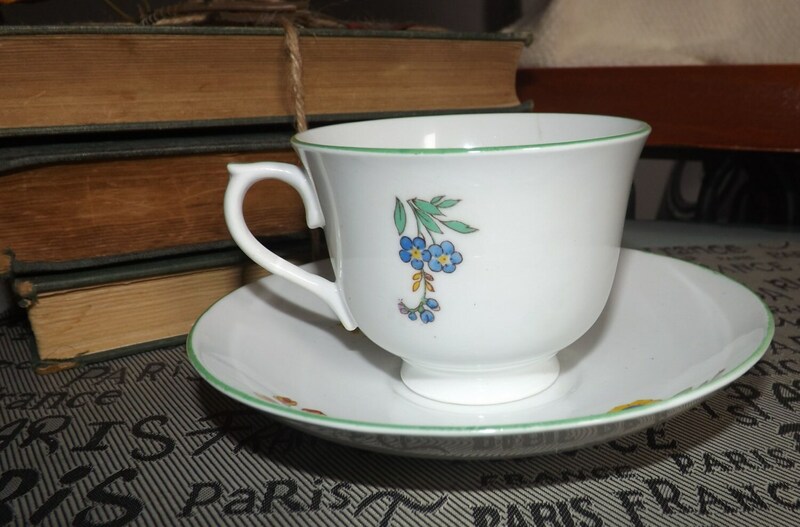 Early mid-century (late 1940s) Radfords | Samuel Radford A Bit of Old England, Somerset Cottage hand-decorated tea set (flat cup with matching saucer). 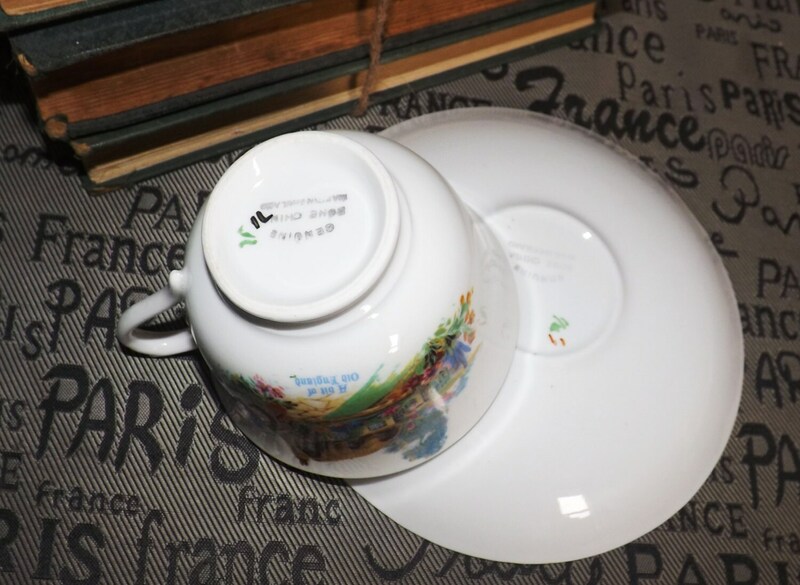 This charming tea set features an English country cottage and flowers scene set against a pure, white ground with a green enamel edge and accents. In EXCELLENT! 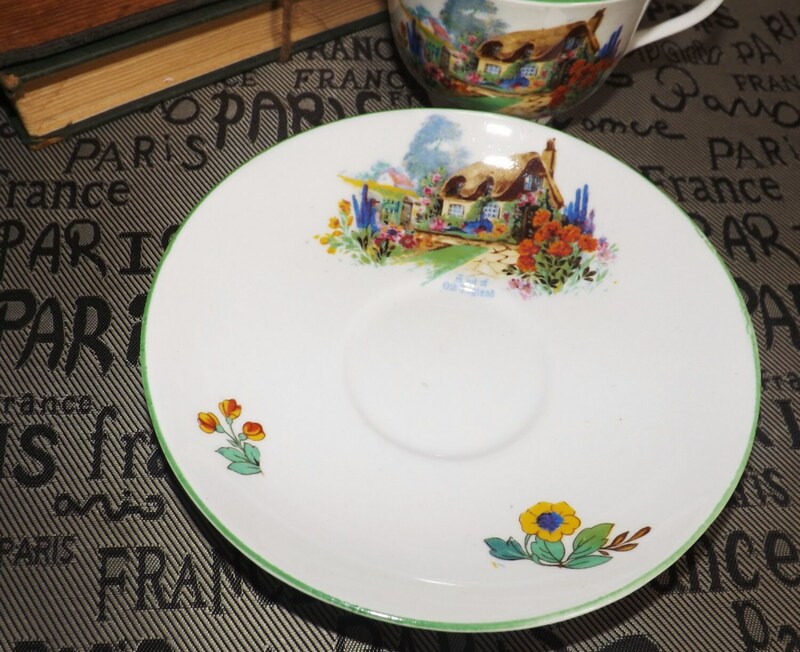 condition, this cup and saucer have NO! chips, cracks, fleabites or crazing and NO! marks, stains scratches or other signs of use or wear. The country cottage imagery and A Bit of Old England text in blue are bright, vivid and clear with NO! fading. Artist's brush strokes and mark to base in green. Wonderful mom gift! 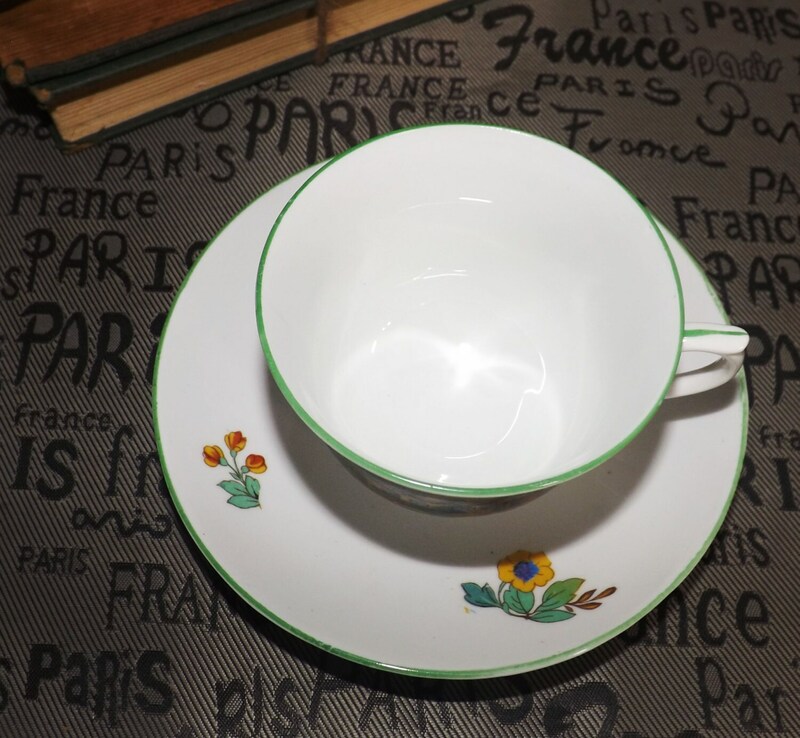 Approximate measurements: flat tea cup stands 3-1/2" with a wide 4" diameter cup bowl | matching saucer is 6-1/2" in diameter.